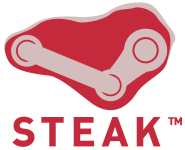 The Steam Community is on track not only to succeed, but to become the most successful network of its kind. Here’s why. The Steam Community will offer many of the benefits of Xbox Live Gold to Steam users — for free. Previews of Team Fortress 2 and Left 4 Dead reveal that Steam’s in-development matchmaking service will include persistent “achievements” in the vein of Xbox Live and Games For Windows Live, along with the new concepts of lower-order “awards” and troll-shaming “demerits”. It’s come, it’s gone, it’s come back again. Eurogamer have now confirmed that a “bespoke matchmaking system” is in development for Turtle Rock’s Left 4 Dead.